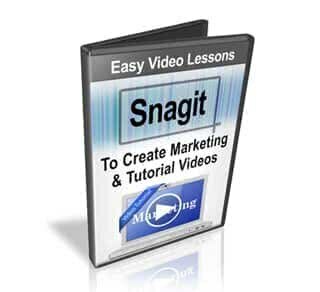 Break the cost barrier to Camtasia, create video you can profit from and learn how to create quality marketing and tutorial videos using snagit. Video Marketing and Video Tutorials have never been more important than they are now! Let me show you how to break the cost barrier to Camtasia and still create quality videos that you can profit from. Online videos have become the hottest thing on the internet. People of all ages are looking for videos for entertainment and education. Getting the exposure you deserve has never been easier. Think about it for a moment. How much time does the average person spend in front of the television? Many hours daily. It has been easy for the average person to make the jump to online video. In fact, I dare say that people who have embraced online video spend more time watching these videos than they do watching television. This makes it even easier to get yourself in front of the world. Don’t worry if you have never created videos before. It really isn’t all that difficult if you have some guidance. That is where this video series comes in. 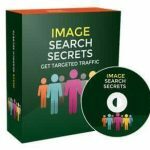 In no time at all you will find yourself cranking out videos that will start a flow of traffic to your site and help you boost your bottom line. 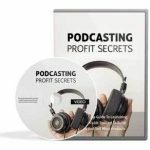 You will learn exactly how to record a video from your computer screen, edit it, and produce it so it is all ready to distribute to your customers or to the video sharing sites. Best of all the tools will not cost you an arm and a leg. Although Camtasia Studio is one of the best tools for shooting screen capture videos, the cost of it can be a significan’t barrier. Fortunately they have another alternative that is much less expensive. It is called SnagIt. You can try it for free for 30 days and it is inexpensive to purchase. SnagIt gives you everything you need to capture and edit your images. It also gives you a great tool for shooting your screen capture videos. Once you have all of these pieces all you have to do is place them in an editor and put together an awesome presentation! Now this is where SnagIt needs a little help. Although the capturing side is second to none there is no time line editor. Fortunately there are free alternatives. You can use any video editor that you want to use. However in this video series I will show you how to put everything together in the free Windows Live Movie Maker. I did this because everyone has access to the Windows movie maker because it is free software. However you can use any editing software that you are familiar with. In no time at all you will have stunning professional grade videos ready for distribution or sale! These Videos show you how start producing quality screen capture videos today! Start the traffic and profit’s flowing with your own professional quality videos today! Don’t wait – grab your copy now! Be the first to know about the latest updates, freebies and exclusive promotions from Niche Video Galore.